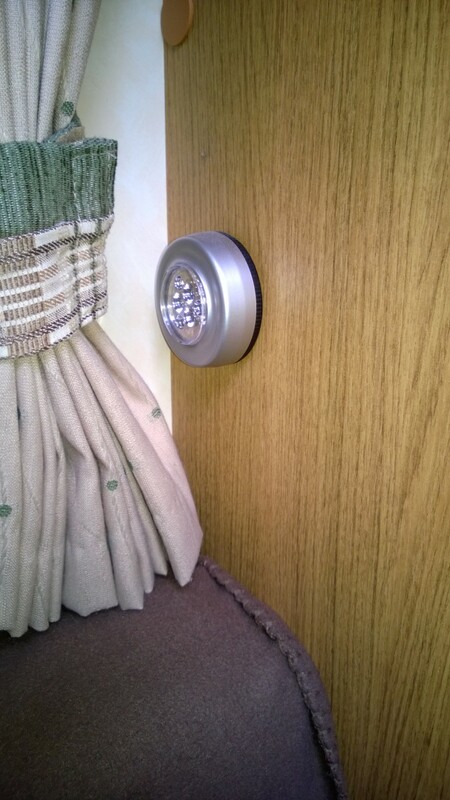 Useful little battery operated led lights to use during the night to minimise disturbing your other half. Positioned for easy access without having to stretch up to find the lights mounted under the overhead locker. Easy to find in most local pound shops.